I recently learned about Cuppow from the badass Lauren of Trash is for Tossers (Loam's latest partner in our Work With What You Have Project). Cuppow is launching a Cup Club Campaign and we want YOU to join the movement. Cup Club is a program for any coffee, tea, or juice shop that aims to improve their commitment to sustainability. It is a customer loyalty program where every 10th drink that goes into a reusable cup is free. 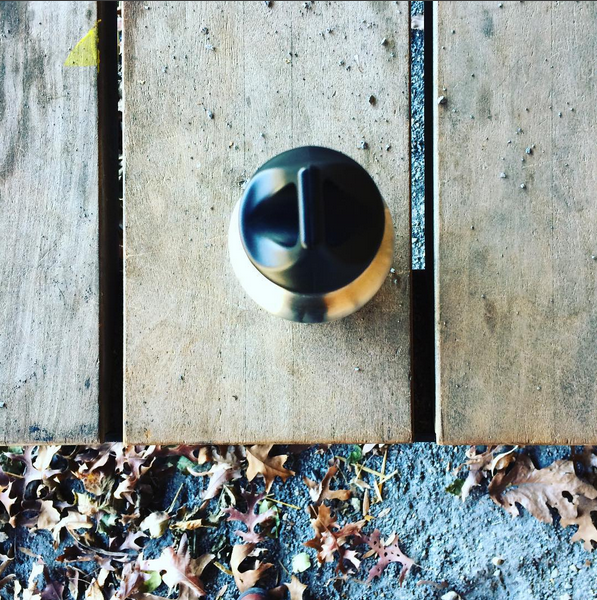 When someone goes into a coffee shop with their own jar, a mark is made on a board at the shop. The 10th customer that has a reusable cup is the one that gets the freebie. So the more people that participate by bringing their own cups, the more free drank there is! Cuppow is in search of stores and shops that want to help to divert as much waste from landfills as possible. Again, it is for any coffee shop, tea shop, or juice bar that wants to improve their commitment to sustainability. All you have to do is email Cuppow (support@cuppow.com) or say hi to them on Twitter and let them know the name of the store that would be a great fit for Cup Club. Looking for a first step into growing your work as an environmental activist? Take on this quest. It's a way to build community AND reduce waste. Go get 'em!